(ARZ) (Carlsbad, CA) 1979 - 1996. Photos. Framable Color Prints and Posters. Digital Sharp Images. Aviation Gifts. Slide Shows. 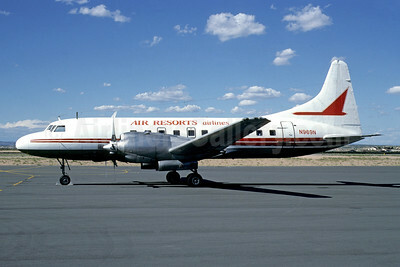 Air Resorts Airlines Convair 580 N969N (msn 475) FMN (Bruce Drum). Image: 103596.